Omg. Five more days until Christmas! Can you believe it!? Where did the time go? I’ve been so busy this year, I didn’t realize we are literally at the end of the year. I guess time flies when you’re having fun right? However, I hate to admit but I’ve been slacking with Christmas presents! Usually I would be on top of presents for my loved ones and coworkers. But this year, being that I am so busy, I barely had time to actually be creative with presents! So if you’re like me, you are probably running around and scrambling for what to get for your loved ones. Props to you if you’re all done with your shopping! I cannot tell you how many times I’ve been to the mall, and omg I don’t expect any less, but it amazes me how packed the mall is at this time of the year. I guess people can’t resist the great deals! But I sure love shopping online more than anything to avoid the crowd! So this year I have been struggling on what to buy for secret Santa and white elephant gifts! But I found my solution! Amazon! and other websites such as Shutterfly because I love personalized gifts! Who doesn’t love shopping online!? Super convenient if you ask me. I tend to get lost shopping on Amazon because they have so many cool items that would make a great gifts for secret Santa and white elephant gifts. Shutterfly is really nice if you are a sentimental person and loves pictures. On Amazon, shopping for holiday gifts, they even make it better by sorting it out in categories for you too! On Shutterfly, you can pick where you want to print your photos on such as a mug, a canvas, a calendar. 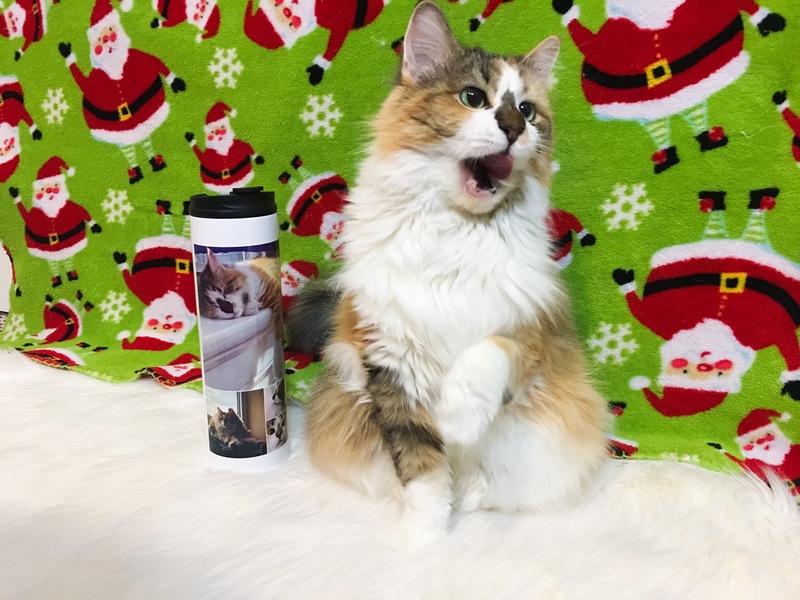 Just like the pictures you are looking at of my cat Izzy and the beautiful stainless steal travel mug with her pictures all over it! My roommates and I did secret Santa this year and one of them gave me this mug and I cannot tell you how much I love it! If you know me, anything with cats especially if it involves Izzy, I am all for it. So here’s a list I’ve put together in case you guys are struggling to find the perfect gift for those occasions. All are under $100 USD! If not, these items are cool to look at too! Google Cardboard – closest thing to the real Virtual Reality. But so much cheaper. I have one, trust me it is so cool! Tile Mate – Key Finder. Phone Finder. Anything Finder. – for those who can’t keep track of their belongings like me. Kendra Scott Elle Drop Earrings – can’t go wrong with jewelry especially if they are Kendra Scott! Ukulele – who doesn’t want this cute thing?! New hobby anyone? Custom Ryan Gosling Pillow Case – if you know me, I have quiet an obsession with Ryan Gosling so this would be a perfect gift in my opinion lol I hope you all have an amazing holiday with your loved ones! Drink lots of hot chocolate, sing lots of Christmas songs and watch lots of Christmas movies! I cannot wait!! Your cat is adorable and you have some cool ideas for gift specially that pillow with Ryan Gosling hahahah. Hope you had a very merry christmas!! I sure know I did all my shopping this year online 😉 Happy Holidays! Love this post. That personalized water bottle is so cool and Izzy is adorable. How cute is your cat?!? Loving these picks and especially love the instax! Can never get enough polaroids! Great post, thanks for sharing 🙂 cool gift ideas! Amazing gift ideas! I love your cat, so cute!! Haha, babe, you’re so funny and it’s funny we’ve got the same taste too as I want every item you listed there (including the pillow, haha). Have a very Merry Christmas dear! All of your gift ideas are so cute, as is your cat, Izzy!! I love that ukelele, even though I don’t play! awww Izzy is just so adorable, and the travel mug is a great idea! I remember making one with photos of my family for my dad cuz he loved his coffee! Hope your holiday shopping goes smoothly! Loving the personalized water bottle with Izzy. Now you can carry your cat around with you everywhere! Aww what a cute cat!! It’s a great list and I’m a sucker for Fujifilm and anything Ryan Gosling haha! I do 100% of my shopping online every year and I wouldn’t have it any other way! I recently had to go into a store to make a return and oh my gosh, it was MAYHEM! I’m a lover of Amazon too and totally get lost in all the great gifts they have. Plus, you can’t beat that Amazon Prime shipping!! Aww such a cute kitty! Those photos are adorable 🙂 I love the Kendra Scott earrings and camera! Have a great holiday! aww such a cute cat and love all its expressions! 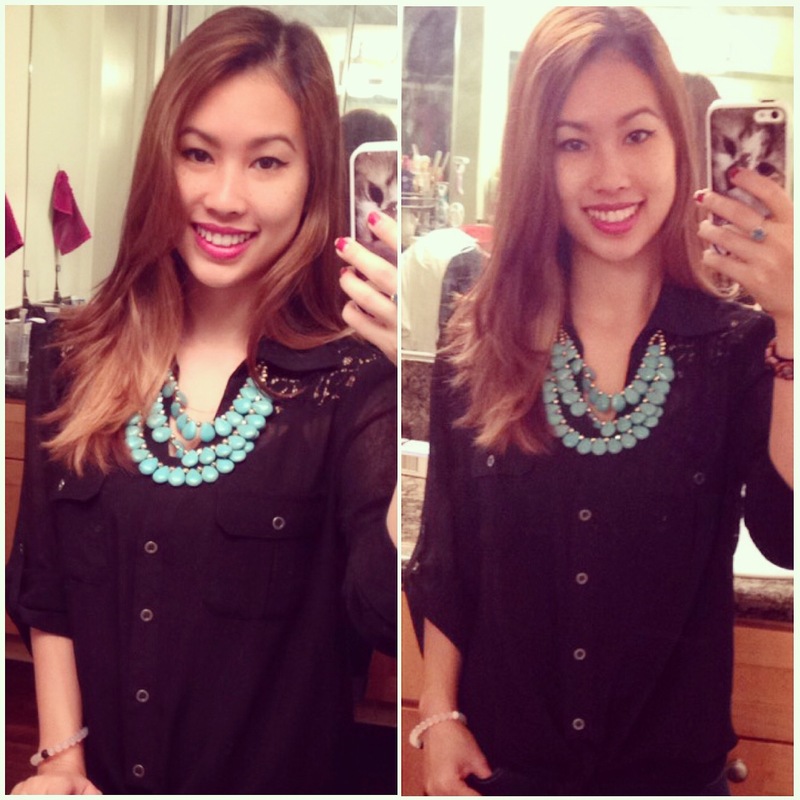 I adore those kendra scott earrings. Your kitty is beyond cute!! So in love! By the way, I love love love your recommendations!! Such great last minute steals. Izzadore is still the cutest kitty on the block! 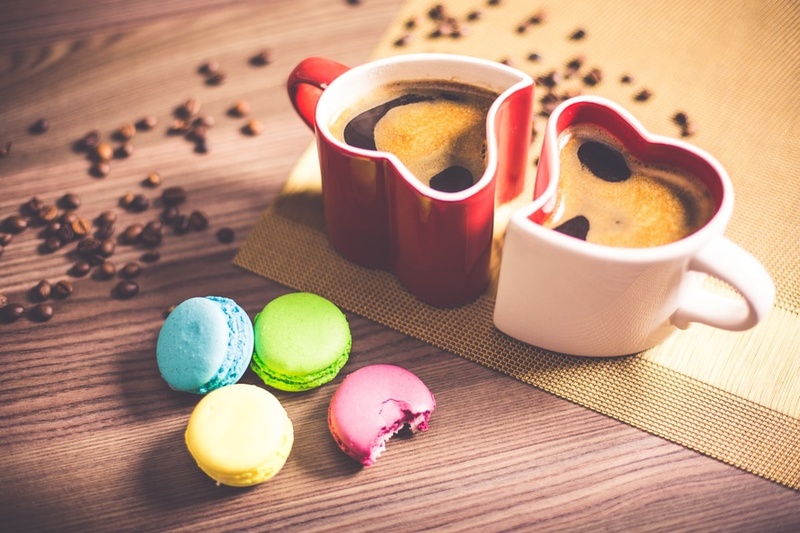 I need to get the rest of my shopping done *sigh* Anyway great post! Miss you! Omgosh what a cute cat!! Loved all the gift ideaas!! Thank you for sharing! That is so cute! I’m a dog lover so would def put my pup on something like that but I also think it’s such a great gift for the animal lover! Ah I’m slacking on Christmas shopping too! Hoping to finish Wednesday! OMG you cat is so so cute. Izzy is so adorable! What a cutie! What a sweet idea for all the pet lovers out there! Thanks for the inspo! Love your cat ! Great gift ideas, I am definitely one who has done it all online. So my little dog was my shopping companion ! Your cat is so cute! I have to say I’m afraid of cats when i see them LIVE haha I’m so lame i know. Love your picks especially the Fujifilm Instax. Always a great gift!